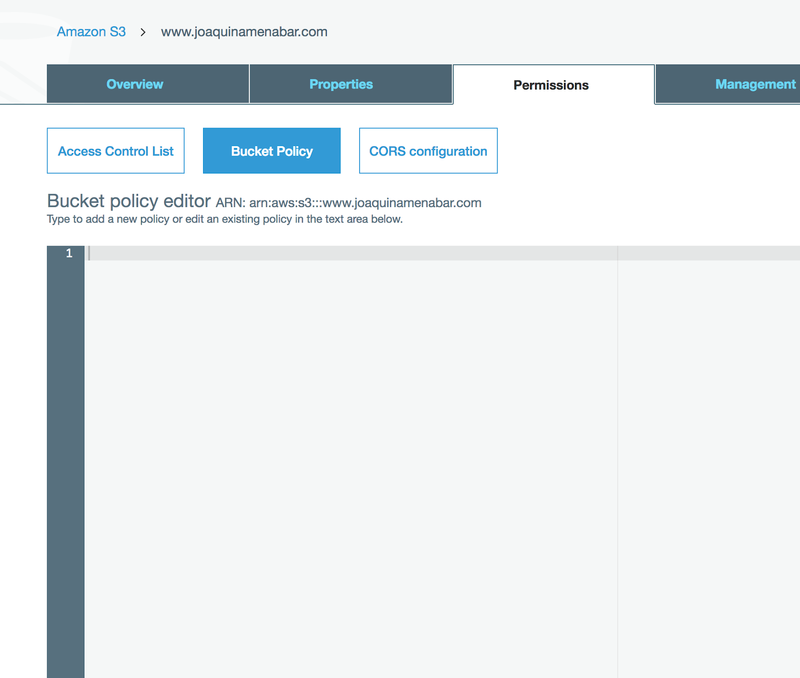 Amazon docs for Restricting Access to Specific IP Addresses shows how the bucket policy can be used to restrict to a range of IP addresses. I modified it to restrict access to one specific IP. The bucket name is www.joaquinamenabar.com and the IP address is 66.175.217.48. This IP is pointing to this site: letsdance.joaquinamenabar.com. 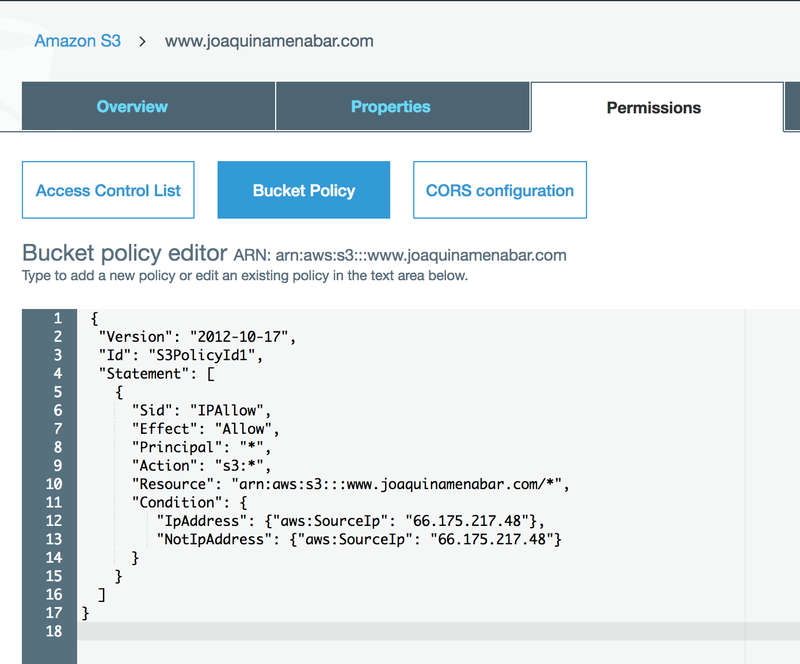 Note that bucket name is different from the actual site that will access the S3 content. You can now save the bucket policy. will not work. Because, it can be circumvented by using cURL command. You can use anything as the referrer with the cURL command. Testing your bucket policy changes immediately will not work. The changes to the bucket policy will take some time to take effect. Relax, play with your dogs and test it later.